Since owners Mario & Maria Jauregui took over Ralph’s Transmission a few years back, a lot of changes have been made. The place has a bold new logo and look. The building and shop have undergone major upgrades and renovations to bring the repair facility into the 21st century. An incredible team of transmission repair specialists was brought on board to provide the best service in town. Frankly, business has been booming and the “new look” Ralph’s Transmission has been a huge success. However, a lot of people coming into the shop have asked about the old street sign out front. Why does it still have the old logo? Why is that the one thing that hasn’t changed in recent years, even though it is one of the more prominent pieces of outdoor advertising? To be honest, there was a lot of debate between the Ralph’s Transmission team as some of these major changes were being implemented. Should we replace it or should we keep it? Ultimately, we decided to keep it and we’ll tell you why. Though a lot has changed at Ralph’s Transmission to modernize the facility and marketing approach, this is still a shop with a fantastic heritage that dates all the way back to 1969. It has always been a family-owned business in an iconic Downtown Modesto location. That old sign has been a beacon for quality transmission repairs and service for many, many years. It means something to the community and therefore it means something to us. As much as we upgrade and improve the way things are done at the shop, we always want to honor Ralph’s past and continue its longstanding heritage of quality customer service. 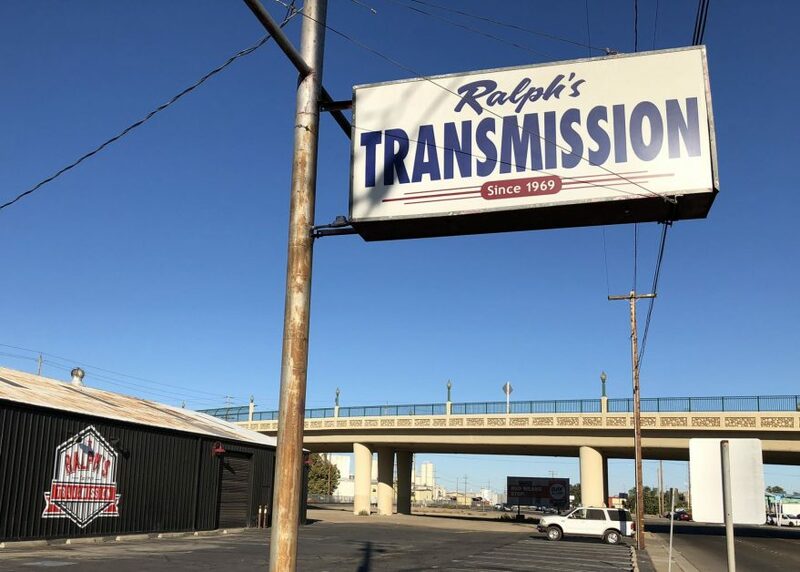 Whether you see one of our billboards around town or just that familiar old sign along 9th street, we want you to know that Ralph’s Transmission is always here to provide exceptional transmission repair services with a friendly approach to service. That’s what A Commitment to Quality Since 1969 is all about. If you need transmission repairs, stop on by the shop or give Ralph’s Transmission a call at 209.526.1909.